Still a ways away but she's road worthy now n smogged n registered ! Still have to finish front grill shadowline n spruce things up there, then I will drive it for a few years before I repaint it n turn it into a garage king. But got her out today for a 20 mile ride thru the back roads n all went well,bit of s shudder when stomp it in first n second. Launches fine but get a shudder at higher rpm's in those two gears. What do you think of theses OZ Racing wheel that came with it? Have a set of staggered style 32,s ready but these are growing on me. Before u ask ,yes partial respray at some point from right rr qtr around to left doorpanel, not greatest match ,but it will get taken care of upon repaint at some point. Nice pick up ! The wheels actually look quite good to my eye. Far better than what you sometimes see people using. Of course, you cannot go past a nice set of style 32s, style 5s, or AC Schnitzer Monoblocks for these cars. Nice job on the shadow line. Looks great, especially the shadowline work. I would vote for the style 32s over the OZs. WRT the shudder, have you checked motor, transmission and diff mounts? How is the guibo? Changed driver mount as it was cracked but not had chance as yet to inspect all else or records to c what's been changed already n when. That's first as previous owner was on top of things mechanically ,almost.. n have the records going waaay back. Maybe this week as things r slow.want to get to those front grills n new hibeam lamp n that will complete the shadowline . Great to see that your latest project is on the road. We should get together one of these weekends and show the locals what a couple of real (hennarot e24s) cars look like! Guess I am still in the Stone Age. Haven’t caught up with the second generation cars yet. I'm in all we need is a dry Saturday or Sunday . Will contact the shark in nipomo. Found another in Santa margarita ! Being converted to racer though so not road worthy. Sounds great Paul . We have three licensed cars at my place every weekend but one of our drivers has a little time before he can drive on his e24 solo so probably limited to two from our shop. I will stay in touch. Looks like it’s going to be wet for a little while. Finally getting around to finishing shadowline. Put pass side back together now on to drivers. While I had it apart decided to retape all harnesss' as they just disintegrated n used some split loom for bigger harness. Also cleaned up the bottle n repainted canister and clean clean cleaned whilethat side was apart. Also replace high beam ,was cracked. Will have to do something with those or replace $$ maybe after repaint. Looks Great with ShadowLine & the OZ wheels. 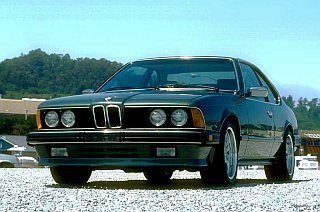 Greetings~ that is one good looking M6! I'd keep the OZ wheels until you get bored. Gives your M6 a sporty and distinctive look...something different for sure. I really like the BBS RF if I can force myself to spend the $ n get them refinished like pic. I think the black bolts and black arches with black center cap complements the shadowline well. What's holding me back is one needs a repair n several wheel shops won't touch it. And will never find a single replacement center section. That's all on hold now as I will return to engine bay to remove valve cover n get new wrinkle finish to match intake I had done,paint fuel rail etc n install red strut brace finally . Not necessarily this specific thread but in several separate threads over last 10months? I always log in first and when I try to reply or start new post I will go thru the process,text n photos and I try to submit it brings me back to login page and all Is lost and have to start over. It's random and I don't know why. Last two posts have been as it should be but when I was trying to reply to this post the other day on several occasions it was happening for example. I deal with it if I have enough patience left for battling the day. Last edited by 88m6 on Sat Mar 16, 2019 4:18 am, edited 1 time in total. Thx dv hope all is going well up there! Moving back to seaside this summer by the way.